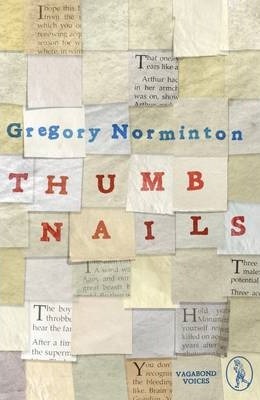 In these forty-eight very short stories or `micrograms`, Gregory Norminton once again experiments with form, using his stylish and witty prose to examine the nooks and crannies of our distracted lives. Taken as a whole, the collection is an exercise in storytelling, proving that narrative can be found in the most unlikely packages. Sexual love flourishes briefly in a retirement home; British soldiers in eighteenth-century America give a very dubious gift to the natives; a Portuguese naturalist loses his life's work to Napoleon; a grief-stricken father searches the Australian outback for signs of an extinct lizard; Mephistopheles answers his critics and explains the real origins of Shakespeare's Hamlet; a roguish life is reduced to endnotes in a biography; an Anglo-Saxon bard despairs of his vocation - These are just a few of the premises that run through the book. Myth, social comedy, tragedy and speculative fiction follow one another in tales that vary widely in form and content - united by the task of conveying a complete narrative with the greatest possible economy. "Norminton paints a picture of the world in a fresh, experimental way in his lively collection of short stories." -- World Lit. Today "World Lit. Today"
Gregory Norminton's first novel, the Ship of Fools, was published by Sceptre in 2002 and was followed in 2004 by Arts and Wonders and in 2005 by Ghost Portrait. That year he took part in a conservationthemed television series, Planet Action, filmed in Panama, Belize, Malaysia and Cambodia, and broadcast around the world in 2006. Norminton moved to Edinburgh in 2007, where he finished his fourth novel, Serious Things, which was published to great acclaim in 2008. Norminton has also translated Gustave Flaubert's Dictionary of Received Ideas. Gregory Norminton was born in Berkshire in 1976. He read English at Oxford University and currently lives in Manchester with his wife Emma.